Westfield Health Sheffield Hatters secured at least a third a place finish with victory over Manchester Mystics. 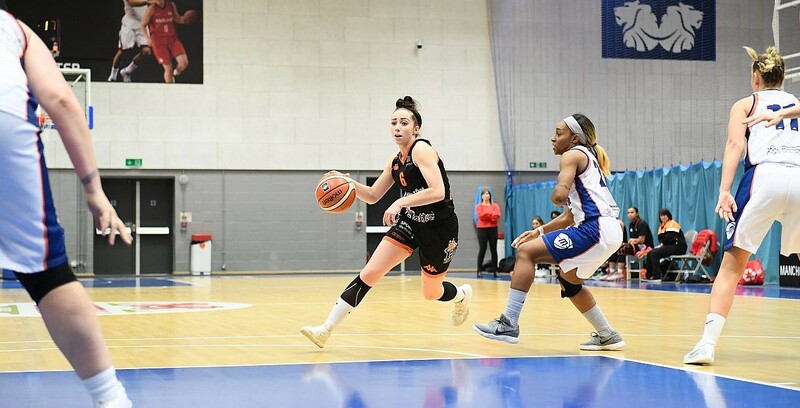 Westfield Health Sheffield Hatters ensured they will end the season in at least third position thanks to a thrilling 76-72 win over Manchester Mystics. The result means the Mystics will be unable to catch the Hatters on points and must settle for a fourth place finish, while Sheffield can still end the Championship campaign in the second spot if results go their way in the final round of matches. Turning point – The home team made their move at the start of the second quarter, putting together a 10-0 run to open up the period to seize control of the game’s momentum. The Hatters established enough of a buffer to combat a late Mystics surge. Key stat – The Hatters made life difficult for Manchester, holding the visitors to just 33 percent shooting from the field and only 28 percent from three-point range. Game hero – Gorrell stole the show for the home side, producing a game-high 28 points to go along with 11 rebounds and four assists.